Can I see my clients meal log? How can my clients log their meals? We have integrated with MyFitnessPal and FitBit meal logging app. Your clients can log their meals in any of these apps and you will see their meal log in the TrainerFu app. Note: Your clients need to first connect TrainerFu with either MyFitnessPal or FitBit. 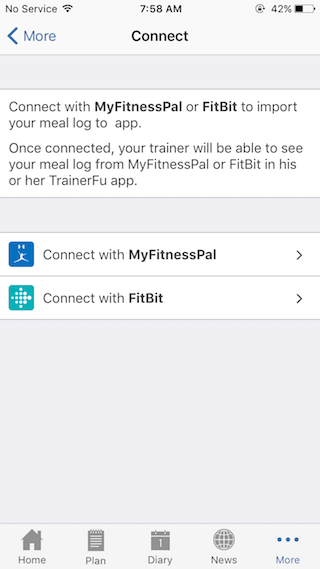 How can my clients connect with FitBit or MyFitnessPal?